The 19th-century engineering feat nicknamed “The Grand Old Ditch” has become a hub of outdoor recreational activity, with biking, bird watching and mule-drawn barge rides. 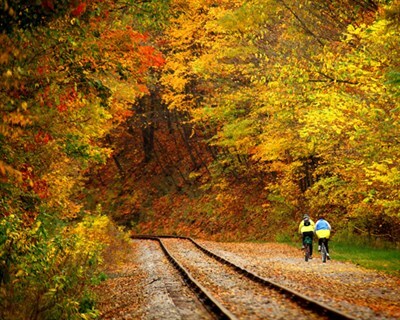 The C&O Canal Towpath follows the route of the canal from Cumberland to Washington D.C. providing recreational opportunities like hiking, biking and horseback riding. 236 miles on a mix of country roads and state highways from Cumberland to Washington, D.C. Built between 1828 and 1850, the Chesapeake & Ohio Canal worked with 74 lock lifts that, for nearly a century, allowed the passage of boats carrying coal, lumber and other products. The 184.5-mile-long canal towpath is a national park with a network of visitor centers, campsites, recreational activities and historic landmarks. Original plans had called for the canal to extend into the Ohio Valley, but when railroading won the race to the west, work stalled in Cumberland, a transportation crossroads in the coal-rich Allegheny Mountains. The town is now home to the Cumberland C&O Canal National Historical Park Visitor Center and the Canal Place Heritage Area, offering boat tours, scenic railroad rides, dining and shopping. At the Spring Gap Recreation Area in Oldtown, a one-mile hike takes you to Lock 72 and a restored, two-story lock tender’s house. Back on the road below Flintstone, you skirt Green Ridge State Forest, famous for its wildlife watching and off-road biking. In the distance is the Paw Paw Tunnel, which workers spent 14 years cutting through more than 3,000 feet of rock. 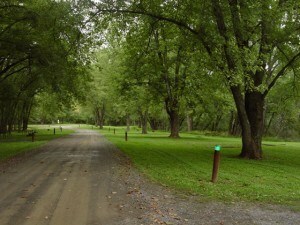 The byway dips into West Virginia, following WV 9 and US 522 for about an hour before re-emerging in Maryland near the C&O Canal’s Hancock Visitors Center and the Western Maryland Rail Trail. 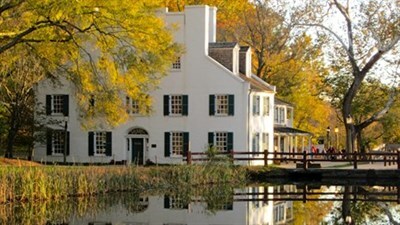 For several miles from Hancock to Big Pool, the canal runs parallel with the Historic National Road. 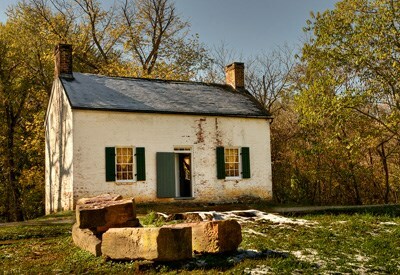 West of Williamsport, where another canal visitor center is located, Lockhouse 49 is the first of four authentic lockhouses on the byway that provide overnight quarters for up to eight people. Ride on a reproduction canal barge at the C&O Canal National Historic Park in Potomac. Kayak or fish the Monocacy River near the Monocacy Aqueduct in Dickerson. Several short sections of the canal have been rewatered and offer boating opportunities. 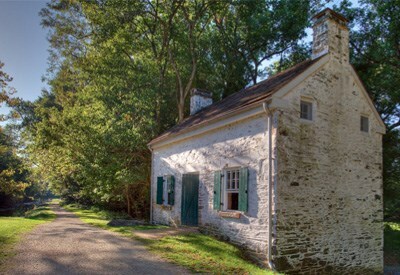 Six historic lockhouses along the C&O Canal towpath are available for overnight stays through the C&O Canal Trust. The Gothic Revival Point of Rocks Train Station is a short ride from the canal. 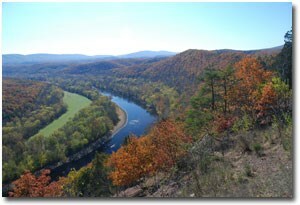 During the early 19th-century, the railroad and canal companies competed for land access where steep, rocky cliffs plummeted to the Potomac River. 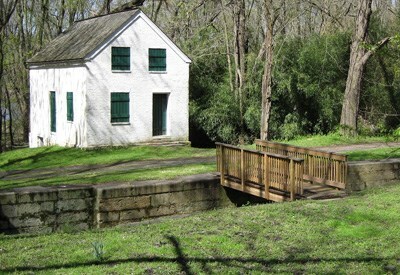 Bring a bike along, or make a plan to walk all or part of the C&O Canal Towpath Trail, which offers primitive campsites and accommodations in historic lockhouses along its 184.5-mile length. 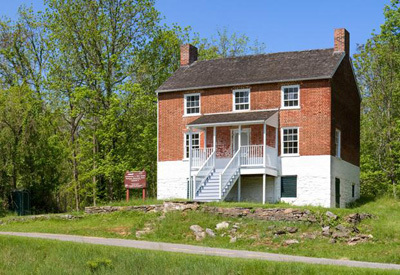 Great Falls Tavern is home to a visitor center, replica canal boat rides, an overlook of the Great Falls of the Potomac and the Billy Goat trail. The canal byway links into a Civil War trail around Sharpsburg, site of Antietam National Battlefield. 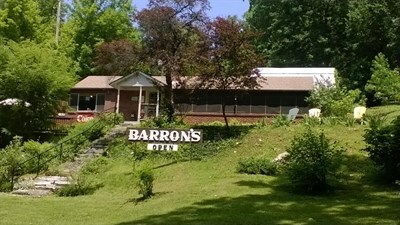 Canal-related exhibits are displayed at the Barron’s C&O Canal Museum. In Brunswick, a railroad museum shares space with the C&O Canal’s Visitor Center, featuring exhibits that showcase the town’s lively transportation past. 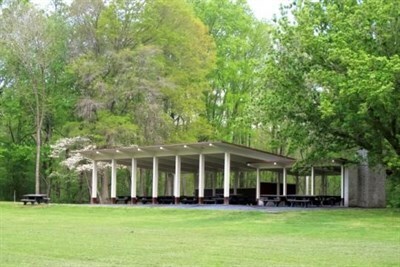 Meanwhile, single-night tent camping is available at more than 30 hiker-biker campsites located every few miles along most of the towpath. Beyond Poolesville and Seneca, you come to the Carderock Recreation Area, a haven for rock climbers. Three miles to the west is Great Falls, a spectacular series of waterfalls and rapids that made the Potomac River unnavigable by ships, prompting the need for a canal. At the Potomac-based C&O Canal Great Falls Tavern visitor center, arrange for an hour-long mule-drawn barge ride through one of the lift locks. Before entering Washington D.C., veer slightly off the canal route into the Downtown Bethesda Arts & Entertainment District, where you can enjoy museums, gardens, galleries, performing arts and upscale shopping. 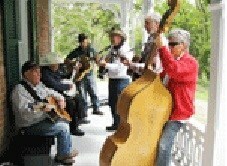 Another canal visitor center is based in Georgetown, not far from the canal’s first lock at the mouth of Rock Creek. 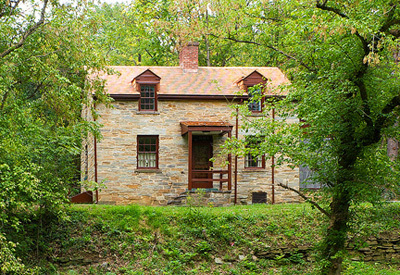 Seneca Creek State Park in Gaithersburg has a restored 19th-century one-room schoolhouse and a partially restored mill that visitors are welcome to explore. Bluebells carpet the ground by the C&O Canal in spring near Hancock. The name Paw Paw, shared by a canal tunnel and a West Virginia town at the Maryland border, refers to small, fruit-bearing trees found nearby. 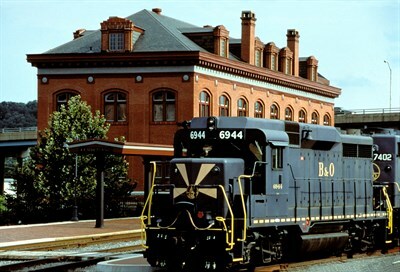 The Western Maryland Scenic Railroad runs excursion trains out of the Western Maryland Railway Station in Cumberland.